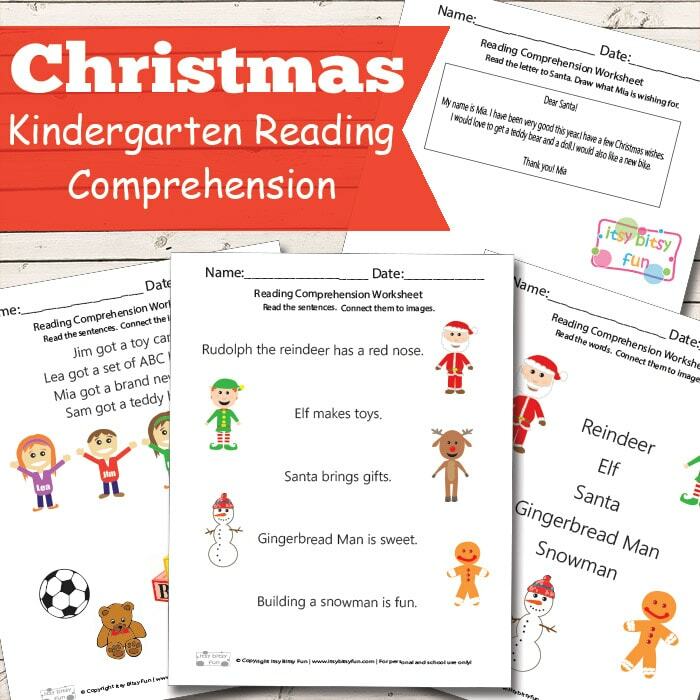 It’s time to practice those reading skills and to bring out the spooky with these Christmas Reading Comprehension Worksheets for Kindergarten! Let’s read with Santa, Rudolph, Elves, Snowman, Gingerbread Man and kids that just got their gifts! As reading skills can vary greatly from child to a child (depending on their age amongst other things) in kindergarten I’ve made a few different versions with different difficulties. 1 page where kids will have to read one festive word and connect it to the picture – this one being super easy. 1 page with simple sentences to read and connect with a festive Character mentioned in the sentence. 1 page where kids have to read the sentences describing which kid got which gift and then connect the kids with their gifts. 1 page with Mia’s letter to Santa – kids read the letter and draw what Mia wants from Santa. 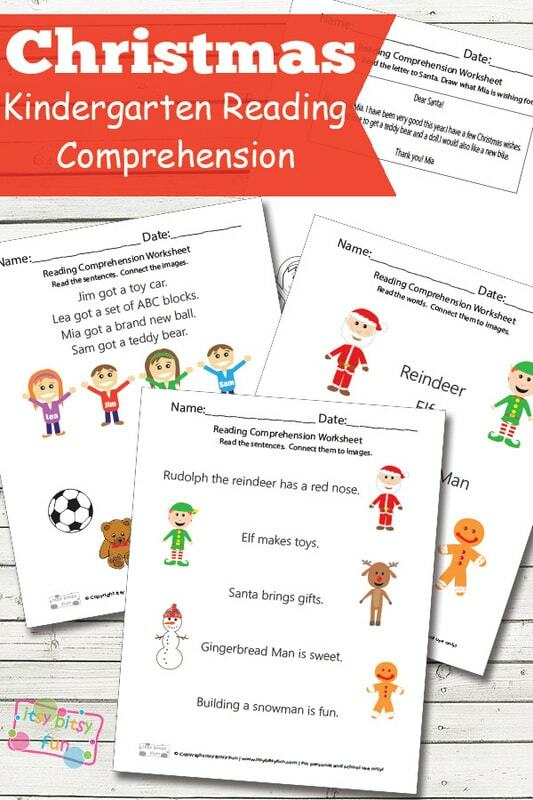 Get your free printable Reading Comprehension Worksheets here. There are many more fun festive printable worksheets (and other fun things) waiting for your kids in this Christmas worksheets collection.